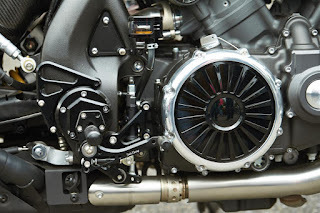 Indeed the Yamaha Vmax motorcycle comes with a monstrous design. 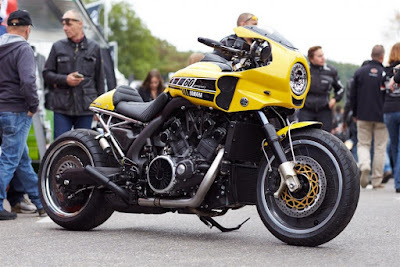 This motorcycle renowned has a mighty shape with manly driving style is similar to Harley Davidson. However, a Yamaha Vmax motorcycle in French made to look more fierce than the original form. 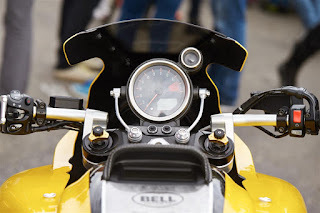 This bike gets a naughty touch idea to displayed more violent and almost gets a new fairly frontal form. As reported by the Motoroids on Friday, October 16, 2015, now the motorcycle dubbed 'VMax Vspeed' was fully worked out a Yamaha's French dealership-Liberty Yam. 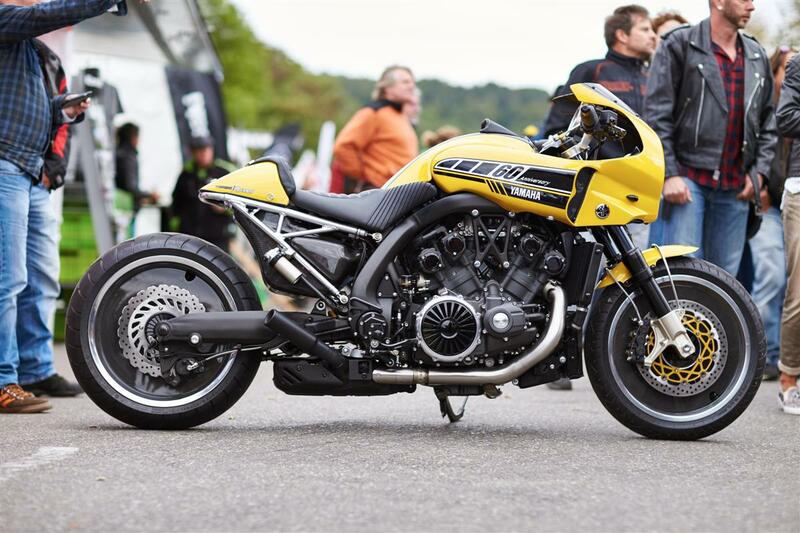 The dragster styled VSpeed has been draped in traditional Speedblock Yellow and black livery. 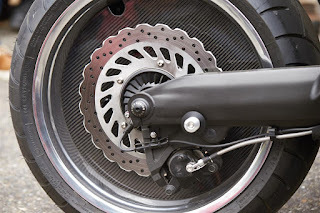 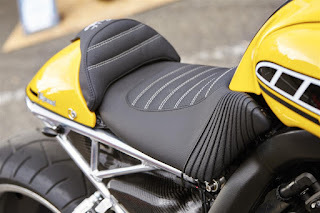 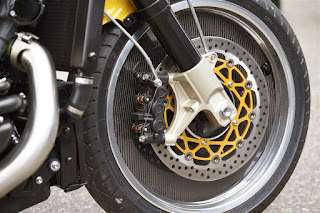 For example, the use of carbon fiber material in the body, the unique shape of the exhaust pipe, the cafe racer style stern, the addition of leather upholstery, two-piece handlebar, and half-sized fairing. Ground clearance of this bike has also been cut by two centimeters to be more comfortable while driving. In addition, ​​the VMax VSpeed also has a 'fast' mode, the features can be pressed on the handlebars.